YWCA Canberra Clubhouse engaged with 19 students from Caroline Chisholm School and Richardson Primary School to participate in the NSW Reconciliation Council’s Schools Reconciliation Challenge. 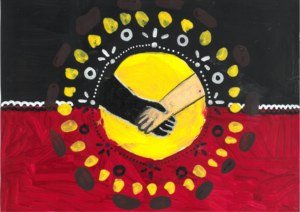 The Schools Reconciliation Challenge is an annual art and writing competition for young people across New South Wales and the Australian Capital Territory. The theme for 2018 was ‘Our Voices, Our Future’. ‘Our Voices, Our Future’ is about celebrating the voices of young people and empowering them to recognise that their voices matter. Young people are our future and every young person has a unique and important role to play in contributing their voices to Reconciliation. 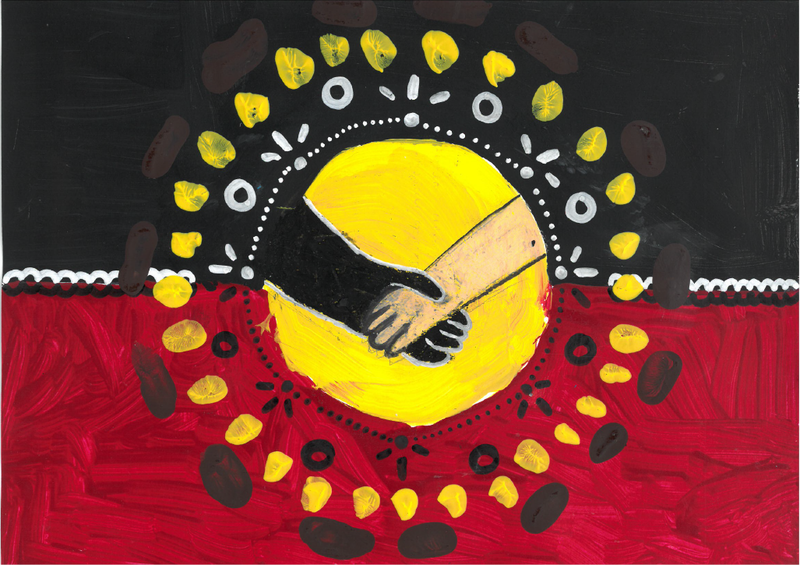 ‘Our Voices, Our Future’ is also about acknowledging and valuing the place of Aboriginal and Torres Strait Islander people’s voices and perspectives within Australia’s national story and Reconciliation journey. It is about recognising the diversity of Aboriginal and Torres Strait Islander cultures and contributions. Over the course of term three, YWCA Canberra Clubhouse delivered eight workshops that explored reconciliation and Aboriginal and Torres Strait Islander history and culture. Through these workshops we were introduced the theme of identity through an interactive game that demonstrated that we all have similarities and differences and how it is important to respect one another. We also started to brainstorm our thoughts on the theme ‘Our Voices, Our Future’. We also focussed on our connection and relationship with language. We rotated through a series of activities that involved using language in a different ways. 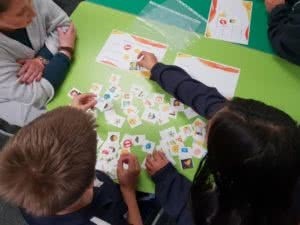 This activity helped us to acknowledge our connection to language and appreciate the severity of injustice, discrimination, and trauma experienced by Aboriginal and Torres Strait Islander peoples when their use of language has been forcibly removed. We learnt about human rights and Aboriginal and Torres Strait Islander people’s history with human rights. We looked at two issues that are currently being debated; changing the date of Australia Day and acknowledging Aboriginal and Torres Strait Islander peoples as being our nation’s first people in our Constitution. Learning about the two debates was particularly significant as most of the young people were not aware of them and the significance they hold in working towards Reconciliation. We partnered with the Australia Red Cross ACT to deliver a workshop with Adam Shipp on native Australian plants and their uses. Adam is a Wiradjuri man who started a business called Yurbay, where he delivers workshops, walks and talks about bush tucker and medicine. 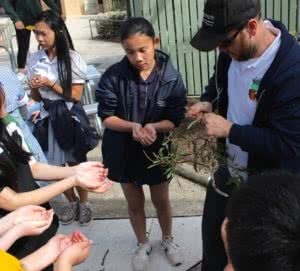 Through Adam we learnt about many native Australian plants, including how to create soap out of Acacia Melanoxylon or blackwood wattle. Adam’s visit was incredibly important for not only learning more about our country’s plants and the knowledge of Aboriginal and Torres Strait Islander peoples, but in realising the importance of making these learnings more common practice in working towards Reconciliation. 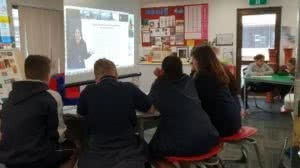 Through NSW Reconciliation Council, we participated in a video conference writing workshop lead by Kirli Saunders. Kirili is a proud Gunai woman, storyteller and poet who founded the Poetry in First Languages project. In this workshop, we were led through an activity where we imagined what would change in our everyday lives once Reconciliation was achieved. Once we had brainstormed some ideas, we were tasked with writing a postcard from our future selves to our present selves, detailing what life is like in this future world where Reconciliation was achieved. Kirili’s workshop was a great addition and it helped to consolidate our learnings from all workshops completed. Every young person who participated in the program completed an artwork or piece of writing. The entries were submitted for judging. Two young people who participated are award recipients, one receiving second place in the Primary artwork category, and another receiving highly commended in the primary writing category. The artwork was inspired by the workshop by Adam Shipp, a proud Wiradjuri man and Aboriginal gardener, and highlighted the importance to learn about and use Aboriginal bush medicine, in particular brewing a pot of peppermint tea to heal a sore stomach. The writing piece was inspired by two workshops delivered by Adam Shipp, and Kirli Saunders, who is a poet and proud Gunai women. The writing piece is a letter to himself from a future where reconciliation has been achieved. He details what is different in Australian society and culture and is an amazing insight into how far we still have in working towards reconciliation. Their work is now travelling around Australia in an exhibition tour for the Schools Reconciliation Challenge. To celebrate the completion of the program and the success of the participants, we organised a tour of the exhibition at the Fitters Workshop as well as a tour of the Aboriginal and Torres Strait Islander collection at the National Gallery of Australia. This also helped to extend their learning about Aboriginal and Torres Strait Islander artwork. As a result of our success in the Challenge, we have been gifted a 12-month subscription to Wingaru kids – an interactive resource designed to support teachers delivering Aboriginal perspectives in the classroom. I will find out if this can be shared across the organisation. 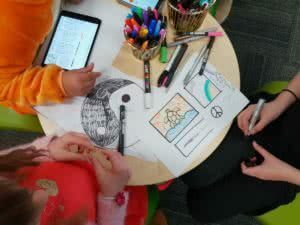 The Schools Reconciliation Challenge helped young people develop their understanding of the diversity of Aboriginal and Torres Strait Islander voices and perspectives, as well as the importance of Aboriginal and Torres Strait Islander self-determination and self-representation in directing processes of Reconciliation. The Clubhouse is very proud to have taken part in this challenge and will continue to expand our knowledge and work towards Reconciliation.